Enterprise Bank was honored as “Business of the Year” by the Greater Nashua Chamber of Commerce at the 16th annual Eminence Awards luncheon held March 21 at Sky Meadow Country Club. Jack Clancy, Enterprise Bank CEO, and Peter Rayno, Enterprise Bank New Hampshire Community Banking director were in attendance and accepted the award. For the past six years, Enterprise Bank has served the Nashua community. Its first branch opened on Main Street in 2013, followed by a second branch on Amherst Street in 2016. In that time, Enterprise Bank has provided the businesses, non-profit organizations, and individuals of the greater Nashua area with personalized service backed by the latest banking technology. In addition, team members have been active participants in the community serving as board members and volunteers of numerous non-profit organizations. Click here to read the full article published March 22, 2019 in The Telegraph. 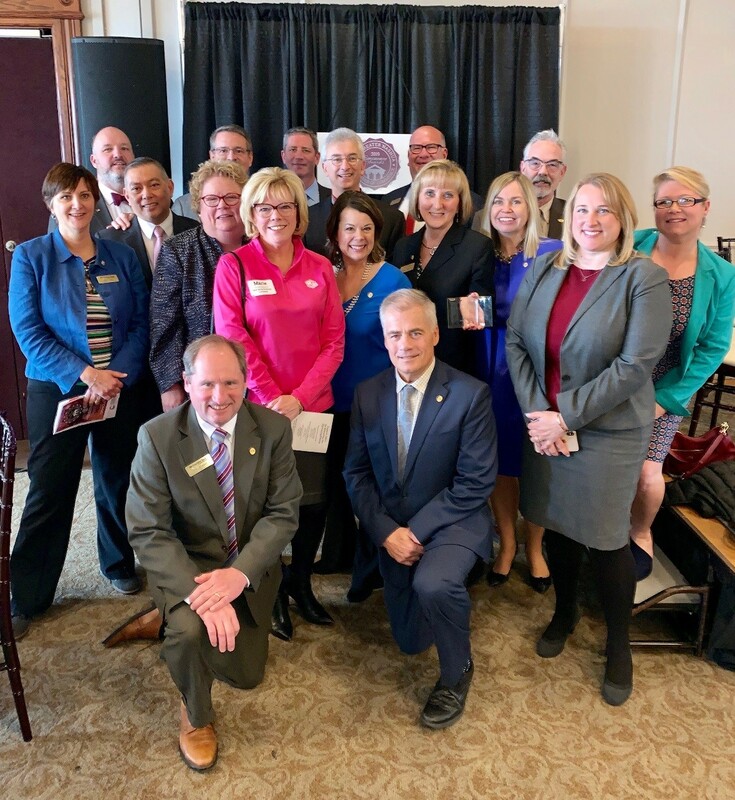 Enterprise Bank team members pose with members of the Nashua Chamber of Commerce after being named Business of the Year at the annual Eminence Award luncheon program.